Deciding which type, or form factor, of access control credential to use and distribute can be a difficult task. Knowing the limitations and strengths of common form factors will help the integrator recommend the right choice. In this note, we examine the most common form factors availible, describe the design attributes of each, and describe where they best are applied. This format is the popular thin, flexible plastic card that many people associate with electronic access control. Because the user can directly print images on these cards, they commonly double as Picture ID badges. The physical size of this credental varies. The most common size of this credential is described by ISO 7810 as 'CR80', but other sizes exist. This variation in sizing is considered to be a security attribute by some, because unique sizing makes the credential difficult to counterfeit. These are inexpensive credentials, designed to be cheaply replaced. Sometimes these credentials are even considered 'disposible', like the example of hotel keycards or public transit passes. 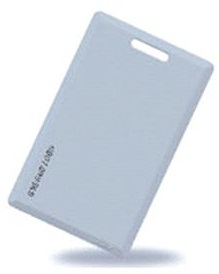 Blank card credentials can be purchased from distribution for about $0.70 per piece in bricks of 50 pieces. 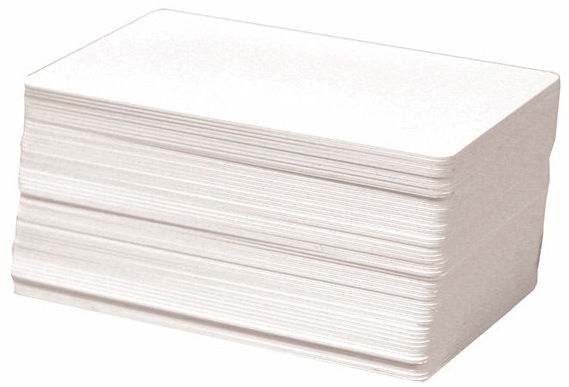 In contrast to the 'card/badge' format, clamshells are thick, rigid pieces of plastic. This bulky form factor withstands abuse better than cards, and may be cheaper than other more durable options. Clamshell formats are older than 'card/badge' credentials, and they were designed to accomodate larger (older technology) components. These credentials can be made into picture IDs by applying a preprinted label. The cost of this form factor depends heavily on the other design characteristics of the card. Clamshell credentials can be purchased from distribution for about $1.50 per piece in bricks of 50 pieces. Fobs are small devices intended to be located on keyrings. While these formats are not printable, they are very durable and can withstand harsh punishment. These credentials are designed to be crammed into pockets, dangle roughly from keyrings, and endure exposure to all weather environments. This form factor is expensive compared to other options, however they are designed to be replaced much less often. These credentials can be purchased from distribution for about $4 per piece in sleeves of 50. This form factor is often applied to other items (like the heads of keys). This format is useful for making other devices 'hybrid' credentals. This format is always passively energized. This format's primary advantage is that they can quickly be externally applied to other devices. For example, applying this type of sticker to a car windshield is common method of credentialing through vehicle gates. Pricing varies broadly for this form factor, depending on the expected service life for these credentials. This format can be customized according to a specific size or shape, or can be furnished in adhesive backed 'buttons'. This form factor can be purchased from distribution for about $2.50 per piece in quantities of 50 pieces. 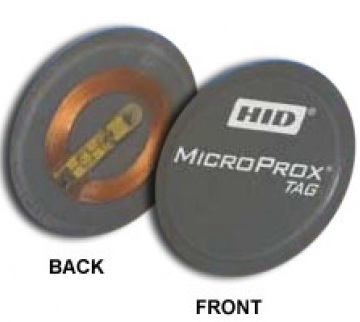 Embedded chips or tags are buried in muti-function devices. The chip may be actvely powered, and often this type of credential has more than one function. 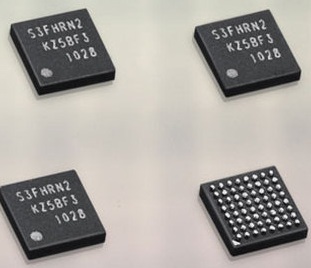 NFC, or 'near field communication' chips are an example of this format. Pricing for this format is usually done in OEM component part lots and is not relevant for discussions of public purchase. Picture IDs: Cards are great for facilities that also require picture IDs. Easily worn and unobtrusive. Low cost of issue and maintenance. Printed images are sensitive to scratching or scarring, but will still function behind a clear protective sleeve. Field Use: Clamshells are ideal for workers in the field or shops. Durable constuction will not bend or break easily. Can withstand moderate abuse well. 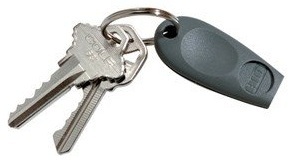 Demanding Environments: Key fobs are the best option for highly demanding or abusing environments. Resilient to shock or thermal abuse. Small size makes pocket storage easy. Tools / Machines: Not typically used as stand alone credentials, stickers or tokens can be discretely mounted to many surfaces. Useful for appling credentials to tools, machines, or other types of credentials like metal keys. Phones and Devices: Embedded chips are most used as component parts in other devices. Never used as a stand alone credential, but useful for integrating access control credentials in devices like cell phones.